Color: Blue - Description: Blue sweathsirt, made from cotton, wih round neckline amd long sleeves; closure with poppers on the back; collar with red and green Web details andd bow on the front. - Details: 100% Cotton. Hand wash. 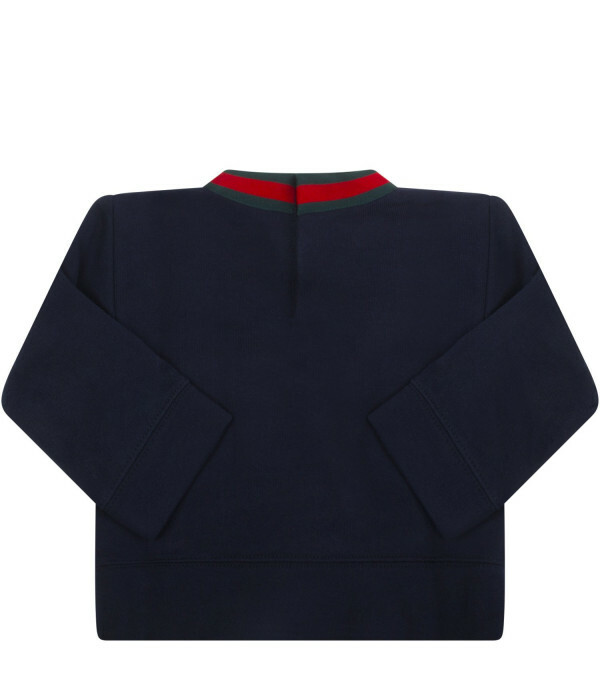 Description: Blue sweathsirt, made from cotton, wih round neckline amd long sleeves; closure with poppers on the back; collar with red and green Web details andd bow on the front.